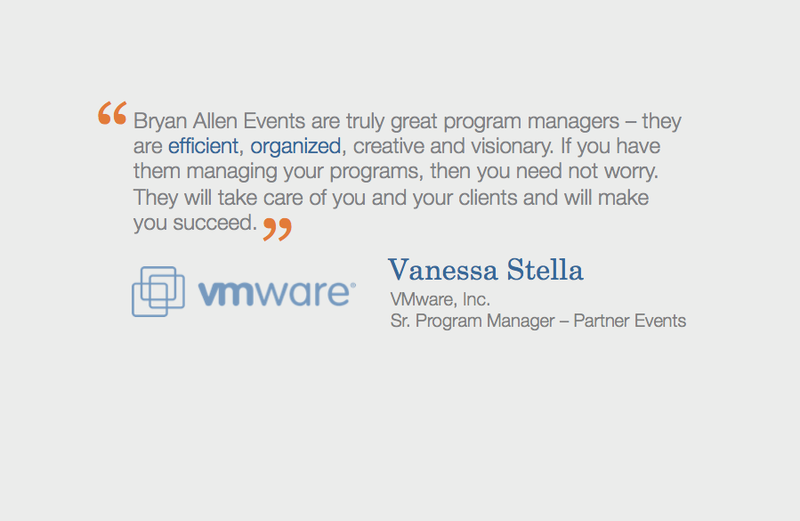 BAE helped VMWare enhance and maintain consistent branding for its PEX Roadshow by building an extensive event toolkit, including 27 branded international registration sites translated into 14 languages. We managed registration communications and requests, while monitoring registration data for lead tracking. 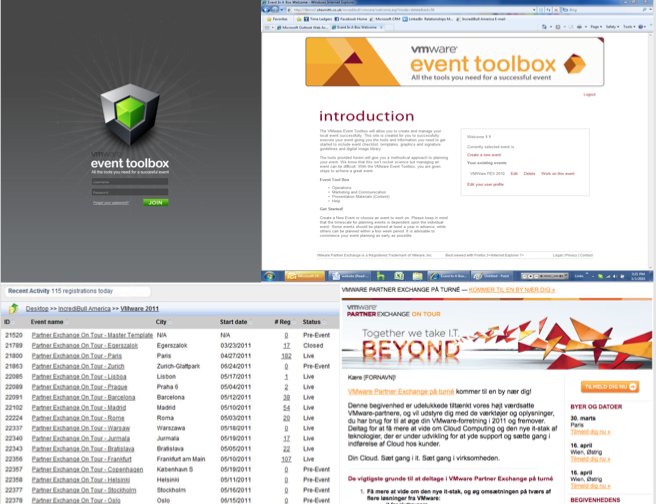 We also created a standardized event toolbox to ensure brand consistency for signage, printed assets, videos, powerpoints and how-to manuals for onsite event staff.